Would you like to buy a home but worry you'd never qualify for a mortgage? Maybe you're afraid that you don't make enough money or have enough cash for a down payment. Or maybe you think your credit score is too low and your debt too high. Those mortgage fears can hold you back. But do you really know you'd be turned down for a loan, or are you just guessing? The odds of success are on your side. More than 7 of every 10 applicants get the financing they need — and the home they want — according to data compiled by Ellie Mae, a California-based technology firm whose software is used by many mortgage lenders. That's because there are three major types of home loans with significantly different rules. Conventional loans account for nearly two-thirds of all mortgages and come with the strictest requirements. Two types of financing in which the federal government agrees to repay lenders if you default — FHA and VA loans — account for most of the other mortgages. So even if your credit score is too low to qualify for a conventional mortgage, it's probably good enough to land an FHA loan. And if you don't have a big enough down payment for a conventional mortgage, know that VA loans require no down payment at all. Let's look at 7 common mortgage fears that may be holding you back from buying a home and see what's real — and what's not. Fear 1. I don't have enough money for a down payment. The average down payment for conventional loans is 20%, according to recent Ellie Mae data. Just remember, average doesn't mean lowest. Many borrowers put down less than 20% by agreeing to buy private mortgage insurance, a policy that protects lenders if you default. 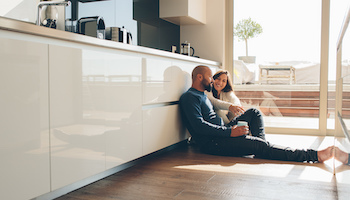 Homebuyers who go with FHA loans put down an average of 5%, although that type of financing requires a more costly form of mortgage insurance. Borrowers who take out VA loans put down just 2% and never have to buy mortgage insurance. Fear 2. I have too much debt. Don't just look at the bills on your desk and assume no one will lend you more to buy a house or condo. Lenders usually don't want you spending more than 36% of your total income on recurring monthly debts. Let's say you're paying $400 a month on your student loans, another $400 on credit card debt, $300 on a car loan and expect a mortgage payment, including taxes and insurance, of $700. With a monthly pretax income of $5,000, your debt-to-income ratio is right at 36%, just below the average debt-to-income ratio of 37% for conventional loans. Can't quite make the cut? The average debt-to-income ratio rises to 43% for VA loans and 44% for FHA financing. Fear 3. I don't make enough money. Most lenders want your monthly housing costs — mortgage payment, insurance premiums and property taxes — to consume no more than 28% of your gross income. On this point, you won't find much difference among the three major types of mortgages. According to Ellie Mae, housing costs average 25% of income for conventional loans, 30% for FHA loans and 27% for VA loans. If it's not enough to buy the homes you've been looking at, don't give up. 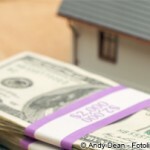 Just consider less expensive properties that require a smaller loan. The key is to stop wondering about this stuff. Put your income and debts into this mortgage calculator to get a good idea of how much you can borrow. Fear 4. My credit score is too low. The average FICO credit score for a conventional loan is 751, according to Ellie Mae. That falls to 707 for VA loans and a much lower 674 for FHA financing. You can definitely be among the 3 out of 4 consumers with a credit score below 700 and qualify for a mortgage. Fear 5. I'd feel horrible if I went through the entire home-buying process only to get turned down for a loan. You can get a very good idea of where you stand before you ever go home shopping by asking a bank or mortgage company to review your finances and preapprove you for a mortgage. The preapproval process is usually free, and if you pass muster, you'll get a letter stating the maximum amount that lender is willing to provide. Not only will that boost your confidence, being preapproved for financing is a must in many cities where the most desirable houses are only on the market for a few days — or even hours. Preapproval puts you in the strongest possible position to win a bidding war against buyers who are paying cash or have also been preapproved. Fear 6. Even if I get a loan, I'll get stuck with a terrible interest rate. Mortgage rates are still near all-time lows, and you could actually pay less for an FHA or VA loan with looser qualifying requirements. According to Ellie Mae, the average cost of a 30-year fixed-rate conventional loan (including purchases and refinancings) is 5.19%. That hits 5.20% for FHA financing and 5.01% for VA loans. 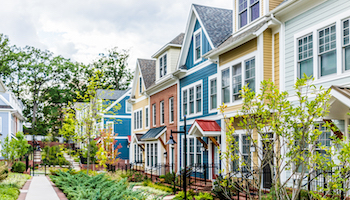 Just search Bankrate's extensive database of the best mortgage rates from dozens of local lenders to see how cheap loans still are in your area. For most borrowers, the best deal is the one that offers the lowest interest rate and lender fees of $2,000 or less. Fear 7. Buying a home costs more than renting, and I can barely afford to rent. A recent analysis by ATTOM Data Solutions, found that buying a home is more affordable than renting in 54% of U.S. counties. 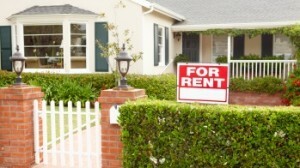 And while home prices may be climbing, rents are increasing just as quickly. But you don't have to guess what's best for you. This Rent vs. Buy calculator will determine what makes the most financial sense. RATE SEARCH: Shop mortgage rates.